The Central Bank of Sri Lanka is currently in the process of raising $5 billion over the next two months. These loans will be extracted from diverse sources such as loans from India and China, International Sovereignty bonds and lines of credits from State Banks. This year a $5.9 billion debt repayment exists where $2.6 billion have to be paid within the first quarter. Plans for the development of 2019 has been set up explicitly by the Central Bank of Sri Lanka. Been one of the two Asian countries, others been Mongolia, to obtain International Monetary Fund (IMF), the Central Bank along with the Government intends to win back investor confidence, develop and diversify export strategies and to buy the bonds. Further growth oriented projects like Gamperaliya and strengthening of payment resources needed to be recommenced and accomplished. The Reserve Bank of India (RBI) was generous enough to grant $400 million as a swap. They are also considering on a bilateral swap of $1 billion. “This is really a short term swap, because swaps are usually for three to six months.” Governor of Central Bank of Sri Lanka, Indrajith Coomarswamy said recently at the 2019 outlook launch of Ceylon Chamber of Commerce (CCC). The Bank of China has also agreed to grant a three year loan with an interest rate which is likely to be 5.5%. By February, a loan of $1 billion which was received during the last quarter of 2018 will be upscaled by $500 million. The Central Bank is also moving rapidly to ready to issue an International Sovereignty Bond (ISB) where the Cabinet approval had been granted this week to borrow up to $2 billion. The National Savings Bank (NSB), Bank of Ceylon (BOC) and The Peoples’ Bank are on the process of raising the lines of credit on behalf of the government. NSB is negotiating a $750 million line of credit, while the Peoples’ Bank is currently on a road show in the Middle East. “We are hoping that both these banks would raise $200 million to $ 300 million.” Due to the political changes and instability that took place last year, many projects were delayed. Even a staff level agreement with the IMF which was finalized on 26th October had to be postponed due to the lack of political confidence. “Because of these we have to start everything from the beginning. We are moving very quickly to gain what we need. 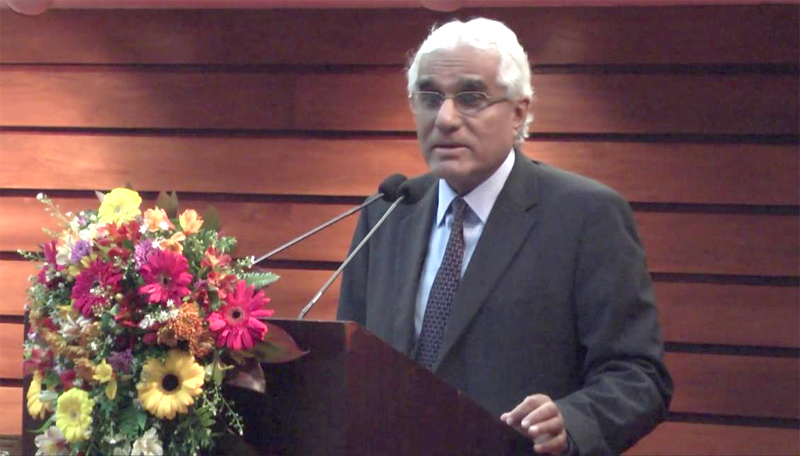 Friends of Sri Lanka, two regional giants have stepped up to help us when we so badly needed it.” Governor further said. Been unable to reach the potential growth rate last year, Coomarswamy hopes that 2019 would likely have a modest growth. A primary surplus had been achieved consecutively in 2017 and 2018, long time after 1955. However FDI and exports needs to be better performed in order to achieve better benefits.